We at FA feel very strongly that the first step in designing a Strength Training program is to set goals for each individual. Whether you’re an Athlete looking to peak for competition or a FAnatic looking to get ready for a vacation, wedding, or a mud run, we feel there must be something to work towards. How many days a week is the athlete or FAnatic willing to commit to their training? How much time per day can the athlete commit to their training? What equipment is available to be used? Each exercise that is chosen in your program is based off the 6 W’s : Who, What, Why, Will, When, and We. A Strength coach without a plan is just hoping to peak his athletes at the right time. Training without a plan is a recipe for disaster and that disaster is called overtraining. Define the progression, this is the most important facet of designing a strength training program, without progression there will be no adaptation. Once we establish what the goals, amount of time, energy demands, 6 w’s and when we know all competitions or major events we will then create the annual plan by dividing the yearly training cycle into the 3 phases of the annual plan. The first thing we do when setting up the annual plan is to set the competition dates with the focus on peaking for the major competitions or in the case of a FAnatic the major events in their lives. A. Preparatory Phase – the objective of this phase is to prepare the body for the rigors of the sport by focusing on gains in Maximal Strength > Power > Muscle Endurance, etc. B. Competitive Phase / Maintenance – It is very important to train during the in-season. athletes who do not maintain their strength during the competitive season will lose 30-50% of their strength in 3-5 weeks. the loss of strength will quickly result in loss of performance. C. Transition Phase – The objective of this phase is to Transition from one yearly plan or season to another or one training phase to another i.e., from a Maximal Strength Phase to a Power phase. The transition phase should completely regenerate the athlete. Breaking down the Annual Plan into more Manageable Training Phase – To Peak Performance at the time of Major Competitions. These are the actual Training Phases used at FA. Block 1. Functional Adaptation (FA) -This phase is used for new or detrained FAnatics, This Block is instrumental for building the athlete’s foundation, it is also used for athletes in the early prep phase or in the transition phase to allow the body to recover and regenerate. 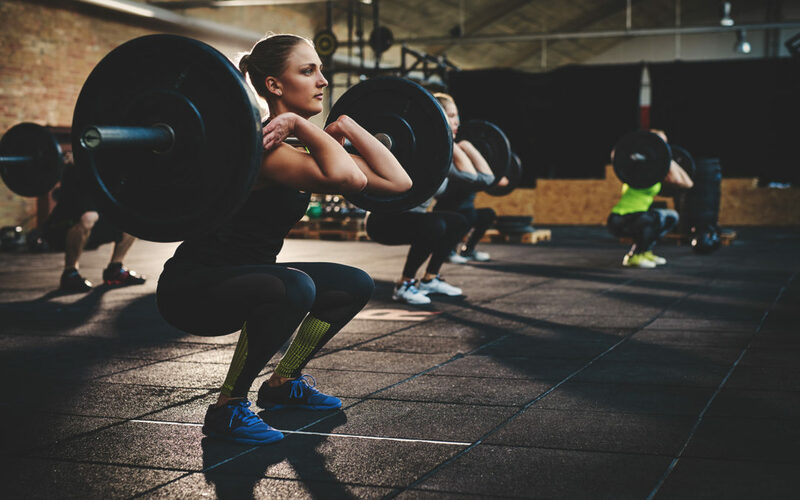 HYP 1 – Hypertrophy for Sports – The Main focus is on making the prime movers bigger by training full body and or multi-joint movements with heavy loads and faster bar speed to recruit fast twitch fibers with minimal rest between sets. HYP 2 – Hypertrophy for Bodybuilders – Isolating body parts and muscle groups with the goal of Muscle Growth, Symmetry, Aesthetics, and definition as opposed to performance, using split body routines so that the competitor can be judged for Competition. Block 6. Conversion to Power (PW) – The ability to exert the maximal amount of force in the shortest period of time. This is done by training with moderately heavy loads and fast explosive movements. Muscle Endurance (ME) S hort, M edium, L ong – The ability to perform strength movements for a long period of time or the athlete contracting their muscles for a prolonged period of time during competition. Power Endurance (PE) – S hort, M edium, L ong – The ability to perform explosive movements for a long period of time. Block 8. Peak Performance (PP) This Block is designed to Peak the Athlete for important competitions. Burst Training – FA’s Signature Training Method is for Conditioning and Energy System Training. Burst training will prepare the athlete’s body for what they will experience in the heat of the battle. This type of training will train the Alactic, Lactic, O2, and Aerobic Systems. 7. MAKE IT A LIFESTYLE! Your training doesn’t stop at the end of every practice, so your goals shouldn’t either. When we create each plan, we take into serious consideration not only the short-term athletic goals you wish to achieve, but the long-term, life-changing ones as well, and adjust your program so that you are meeting all of these needs.